Legally, a personal injury is any injury or illness, physical or psychological, that has been caused as a result of someone’s negligence. Negligence could be careless driving, failure to maintain public areas, failure to deal with health and safety issues. It can also include failure to identify hazards which have resulted in an injury or illness. What is a personal injury compensation claim? This is a legal claim for compensation made by a person or organisation. It is against someone who is/are responsible for injuries/illnesses that you have suffered as a result of their negligence. How much does it cost to make a personal injury compensation claim? The cost of a claim will always depend on a number of factors and therefore it’s very difficult to say what the exact cost of a personal injury claim will be. It depends on the complexity of the case, whether or not the negligent party accepts fault, whether or not the case needs to go to court as well as a number of other factors. There are however different ways of meeting the costs of a compensation claim, one of the most popular methods being a No Win No Fee arrangement. No Win No Fee means exactly that. If we do not win your case for you, you are not liable to pay anything. The way in which this works is that we will take on your case and after our initial assessment will typically proceed on a No Win No Fee basis. If we do not win your case, you do not need to pay us. However, we will only get paid if you win your case, so this provides us with a strong incentive to ensure that you are successful. Our fees are usually claimed from the third party as part of your case, so there is very little impact on the amount of your overall compensation amount. In the event that all legal costs are not met by the third party, then we will make a deduction for the difference from the compensation that you win. In practice, this does not happen very often and if it does happen, the amount is usually a small percentage of the compensation awarded. This kind of arrangement takes out most of the risk for you as a client in proceeding with a claim. What if I have legal expenses insurance? Often certain household and car insurance policies also carry a legal expenses benefit. There are usually limitations to these policies, however these can be used to help to pay for your legal costs if you wish to do so. If you do have legal expenses included in your policy, your insurer will normally have a law firm that they would prefer you to work with, however this is not an obligation on your part and you can get representation from whomever you are most comfortable with. Can I get Legal Aid for my claim? There are only very specific circumstances that Legal Aid can be applied for when dealing with Personal Injury claims. These are limited to injuries to children which result in disabilities caused as a result of something happening during pregnancy and up to eight weeks after birth. What can I claim for as part of a personal Injury claim? Two types of damages can be claimed for as part of a personal injury claim. These fall into General Damages which is compensation relating specifically to the injury itself. The second type of claim is called Special Damages which covers anything else that is relating to the claim other than the injury itself. To make a compensation claim we try to keep the process as straightforward as possible. The first step is to get in touch with us. We will then have a chat with you which will allow us to gather some initial information about your claim and the circumstances that may have caused you injury or loss. Once we have this information we will be in a position to submit your claim to the third party or their representatives (this could be their insurance company, their solicitor, or the organisation that they are part of). Depending on the type of claim, there is usually a fixed time that they have to respond to the claim and generally, they can either admit fault, deny fault and give reasons or state that there needs to be further investigation to get more evidence relating to the claim. Can I still make a claim if I was injured a couple of years ago? There are certain time limits that compensation claims can be made. A claim relating to an accident or injury a couple of years ago is definitely something that we can look at proceeding with. The limits are within the last 3 years of either your accident or the date of knowledge (when you actually knew you had the injury/illness) of your injury developing if there was a time lag between the accident and injury. Sometimes injuries occur over a long period of time, especially if you are working in a hazardous environment, so it may be difficult to pinpoint exactly when the injury occurred. If this is the case, then you should get in touch with us and we will be able to provide you more specific advice on your situation. It is difficult to give a precise number on how much compensation you could get. Compensation is based on a number of factors which are unique to your situation, as every accident and injury is unique. Our process is that we value your claim against certain benchmarks for different aspects of a claim. We can then use this to value your claim. Our solicitors will assist you in ensuring that all aspects of your losses have been included in your claim. They will make sure that you get the maximum compensation you deserve for your situation. As each claim is unique, the timescales can vary. We suggest a minimum of a couple of months for straightforward claims to more complex claims that may need to go to court. In the vast majority of cases, we do not need to go to court to get an agreed settlement. This means that usually we can complete most claims within two to four months. Our solicitors have dealt with thousands of claims. These include road traffic accidents, employers liability, occupiers liability, Criminal Injuries Compensation Authority, Holiday Claims and others. We have a huge breadth and depth of experience. We have likely had clients that have been in a similar situation to you. Give us a call and we can discuss the specifics of your claim without any obligation for you to proceed. What areas of law do you specialise in? Haymans Solicitors is a multi-discipline practice which means that we specialise in different areas of law. Our main areas of focus are Criminal Law, Personal Injury and Compensation and Civil Law. Each area is represented by a highly experienced senior solicitor who specialises in that specific aspect of Law. You will get the very best and knowledgeable representative for your particular case. Your personal injury case will be dealt with by a personal injury specialist. Equally, your criminal case will be dealt with by a crime specialist and your civil matters will be dealt with by a civil law specialist. How often can I expect to receive communications from you regarding my case? Our client care commitment means that you will receive regular communication at the most relevant times as your case progresses. This means that we will keep you informed whenever there is new progress on your case. We will discuss realistic expectations based on the specific details of your case. We’ll also arrange for all the support you need with regards to medical assessment appointments. The solicitor will assist with any other services that may be needed in relation to the claim. This could include accident engineers, storage companies in addition to car hire companies and so on. Will I be able to contact you directly if I have any questions? Our aim is to help you get your life back to as normal as possible, and as quickly as possible. We also aim to ensure that you get the full compensation that you deserve. We are very effective at this. You are more than welcome to call us directly any time on our 24 hour line. 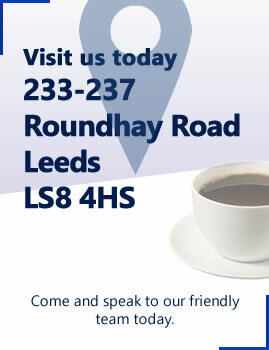 We will be happy to discuss and answer any questions that you might have relating to your compensation claim. You will be able to speak directly with the solicitor dealing with your case. You can be assured that your claim is being dealt with properly. We are also happy to communicate with you via email so we can save time on delivery of letters. This can also speed up the process of your claim and keep you promptly updated. Can I transfer my compensation claim to Haymans if I am not happy with my current solicitor? Yes of course you can. It is important that you have a good working relationship with your solicitor. You need to have trust and confidence in the advice that you are receiving. 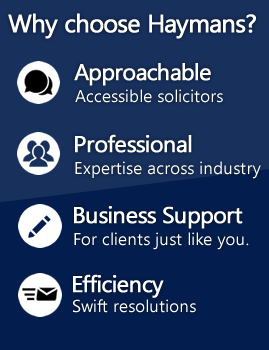 A solicitor works for you and should always be working in your best interest. Each step of the way is explained in simple and clear language that can be understood by anyone. Sometimes relationships break down and you feel you need someone else to take over. If this is the case, feel free to give us a call and we will see how we can help.